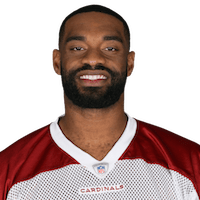 Gresham will be released by the Cardinals later this week, Adam Schefter of ESPN reports. Analysis: Gresham has two seasons remaining on a four-year, $28 million contract that arguably makes him the most overpaid tight end in the league. He still has some value as a blocker, but he's averaged just 17.8 yards per game in 58 appearances for the Cardinals. The 30-year-old may have to settle for a backup role once he hits the open market, while Arizona will move forward with Charles Clay and Ricky Seals-Jones at tight end. Gresham reeled in nine of his 12 targets for 94 yards and one touchdown in 13 games during the 2018 season. Gresham played 46 of the Cardinals' 53 snaps on offense during Sunday's 31-9 loss to the Rams. However, he wasn't targeted in the contest. Gresham caught his lone target for a 16-yard gain during Sunday's 40-14 loss to the Falcons. Analysis: However modest the production, Sunday featured more yards for Gresham than the previous five outings combined. That's how dismal things have been for Gresham and, in general, Arizona's offense. 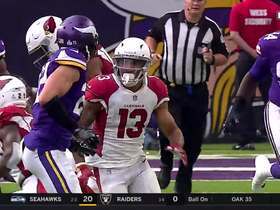 Sunday offered another low point as rookie Josh Rosen was benched late after three turnovers and back-to-back drives that generated negative yardage. Don't expect much better Sunday against a middle-of-the-pack Rams pass defense. Gresham caught his only target for two yards during Sunday's 45-10 loss to the Chargers. Analysis: Gresham didn't have much of a chance to produce Week 12, with rookie quarterback Josh Rosen totaling just over 100 passing yards on the day. However, it's not as if his quiet performance was an anomaly. The veteran tight end has caught one pass or has been held without a catch in eight of nine starts this season. Gresham will remain firmly behind Ricky Seals-Jones heading into the Week 13 tilt against the Packers. Gresham caught one of his two targets for an eight-yard gain during Sunday's 23-21 loss to Oakland. Analysis: It was the seventh time in eight games this season that Gresham came away with one or no catches. Ricky Seals-Jones is the primary weapon at tight end in Arizona and even he has been inconsistent in his performances. Sunday brings a Chargers defense that has been on the rise in recent weeks. Gresham played 29 (on 73) offensive snaps during Sunday's 26-14 defeat in Kansas City. Analysis: The breakdown of reps between Gresham and Ricky Seals-Jones depends on the week. On this occasion, the latter led the way with 46 snaps on offense, which he used to produce five catches (on nine targets) for 51 yards. Meanwhile, Gresham went without a target for the third time in seven games this season. He also is averaging just one target per contest in 2018, making him a fantasy nonentity in his ninth NFL campaign. Gresham (back) is listed as active Sunday at Kansas City, Darren Urban of the Cardinals' official site reports. Analysis: Despite elevating to full participation at Friday's practice, Gresham was listed as questionable for this game due to a back injury. By avoiding the inactive list Week 10, the 30-year-old will be available to the Cardinals offense, primarily as a blocker due to his meager mark of 1.2 targets per game this season. Gresham (back) is listed as questionable for Sunday's contest in Kansas City, Darren Urban of the Cardinals' official site reports. Analysis: Gresham bumped up to full participation at Friday's practice, which is generally the basis for getting clearance to play. That said, the veteran tight end enters the weekend with a designation. If he's active Sunday, as he has been in each of the Cardinals' previous six games, Gresham will be little more than a fringe TE option due to his mark of 1.2 targets per outing. Gresham (back) was limited at Wednesday's practice, Scott Bordow of The Athletic reports. Analysis: Gresham isn't carrying an injury designation for his Achilles or heel for the first time since tearing the former Week 17 of last season. However, the 30-year-old continues to tend to some bumps and bruises coming off the Cardinals' Week 9 bye. Look for Gresham to serve primarily in a blocking role due to the protection issues of the offensive line, with only the occasional target due to the presence of pass-catching tight end Ricky Seals-Jones. 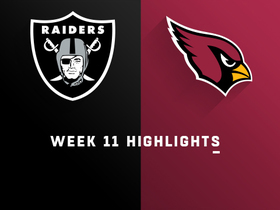 Watch the highlights as the Oakland Raiders take on the Arizona Cardinals in Week 11. Arizona Cardinals tight end Jermaine Gresham dodges tackles on 26-yard run. 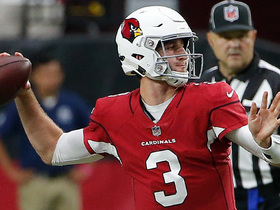 Arizona Cardinals quarterback Josh Rosen finds tight end Jermaine Gresham for a 9-yard pass and a first down on his NFL completion Week 3 against the Chicago Bears. 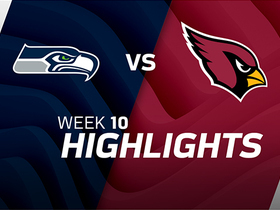 Watch to see the best plays of the Week 17 matchup between the Arizona Cardinals and Seattle Seahawks. 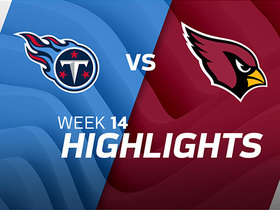 Watch the best plays from the week 14 matchup between the Tennessee Titans and Arizona Cardinals. 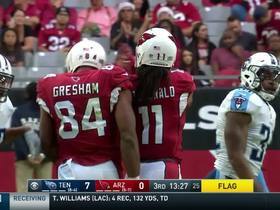 Arizona Cardinals tight end Jermaine Gresham picks up 21 yards. 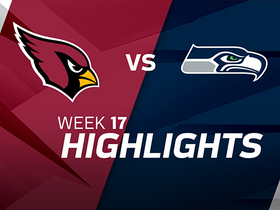 The Seattle Seahawks take on the Arizona Cardinals in Week 10 of NFL action. 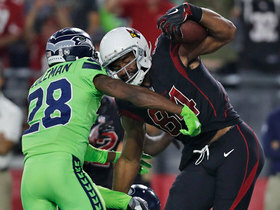 The Seattle Seahawks defense bite on this play-fake to Arizona Cardinals running back Adrian Peterson and tight end Jermaine Gresham scores the touchdown. 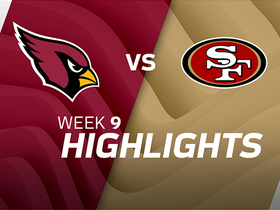 Watch the best plays from the Week 9 matchup between the Arizona Cardinals and the San Francisco 49ers. 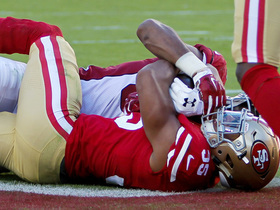 San Francisco 49ers safety Eric Reid intercepts Arizona Cardinals QB Drew Stanton in the end zone.